One of the best places to rev up your company’s upper level engineering initiatives is to attend B2B conferences like the Additive Manufacturing Industry Summit held in Dayton, OH on September 20- 22, 2016. At industry events, attendees have the opportunity to listen to over 25 presentations, participate in comprehensive workshops, and learn how other companies are tackling similar challenges in areas like prototyping and part validation. If you are looking to tap into a wealth of knowledge and leverage the right instruction from industry peers, convince your boss to send you to a B2B conference for direct training in how to increase your company’s ROI. Many organizations are successfully applying new technologies to the production of finished goods and their expert leaders gather at industry events and executive meetings to discuss emerging trends. By networking with other professionals and vendors in the industry, you will be able to take a pulse of the newest tools, technologies, and processes from the best minds to better understand the expanding revolution of the manufacturing industry. 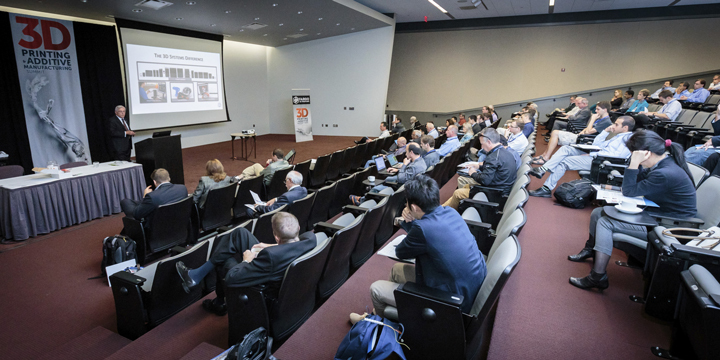 The Additive Manufacturing Industry Summit offers the unique opportunity to meet the experts, but also witness the work being done first-hand. Join fellow additive manufacturing professionals to propel technology beyond prototyping and modeling and into actionable, production-ready applications. Media passes for the #AMIsummit may be requested by emailing andrea.cookson@gsmiweb.com . Please include the full name of the individual seeking a pass, the media outlet represented, and an email address and phone number where he or she can be reached. While GSMI will make every effort to honor legitimate requests, capacity is limited, so passes are not guaranteed.